This 10 room Kicking Horse Boutique Hotel is just steps away from the Gondola at Kicking Horse Mountain Ski Resort near Golden BC, in the Canadian Rockies. 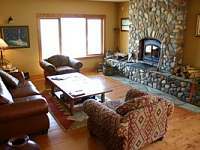 This Luxury ski accommodation features warmth and charm, reminiscent of the Historical Canadian National Parks Lodges but with the amenities and service of top quality Boutique Hotels. Please note rooms do not have phones or TVs and the lodge does not have a liquor license. Guests are welcome to bring their own alcohol, and keep it in the fridge to keep it cold. 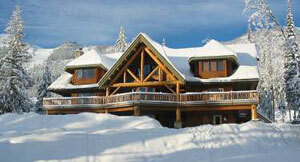 Contact us for more information or to include the Vagabond Lodge as part of your memorable Kicking Horse ski holiday. 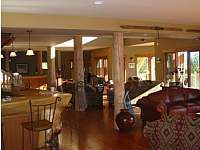 All our guests will receive a FREE continental breakfast and hot lunch at the Vagabond Lodge.